In 1956, Finn Juhl designed the TurningTray. Today the original trays are on display at Finn Juhlâ€™s house in Charlottenlund, Denmark, now a museum. 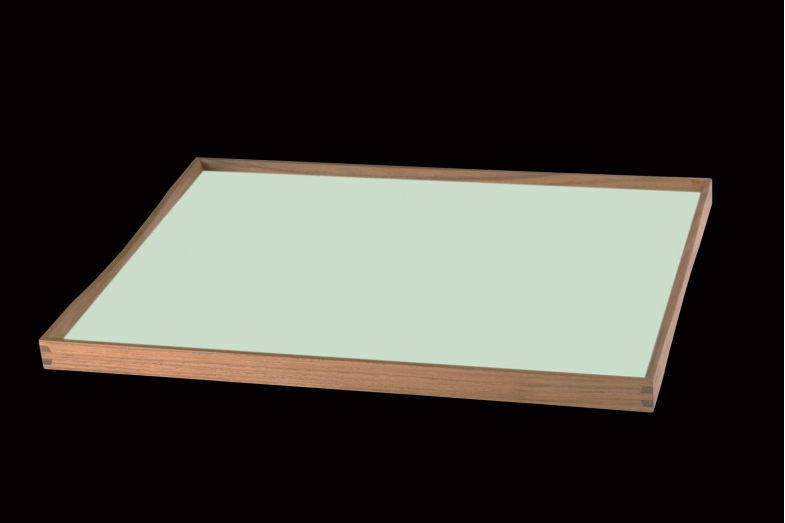 ARCHITECTMADE is re-launching the TurningTrays based on the original drawings by Finn Juhl. The trays encompass many of Finn Juhlâ€™s characteristic designs, especially the curved teak frame and corner joints are Finn Juhl trademarks. The trays are handmade in teak and laminate. They are available in 3 sizes and several color combinations.